I’m terrible at math, but here’s what tonight’s scoreless draw between Real Salt Lake and the Seattle Sounders means for the Galaxy in the MLS standings by my calculation: if the fourth-place Galaxy win their final two games they will finish no lower than third in the Western Conference with 56 points (they hold the tiebreaker over Seattle, which is goals scored). Third-place Seattle has just one regular season game left. However, if Real Salt Lake loses in their final game of the season Oct. 27 against the fifth-place Vancouver Whitecaps at home (unlikely, I know) the Galaxy could overhaul them for second because of goals scored (currently 56-46 Galaxy). 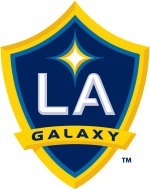 But, the Galaxy have to beat the MLS-leading Earthquakes in San Jose Sunday (hmmm) and the Sounders in the final game of the season at Home Depot Center. Shows you how important the squandered points in Colorado were. I can see the G’s winning at home over Seattle in the last game. Hard to expect a win in San Jose, given history there and the likely absence of Donovan. We’ll just have to wait to see whether Lenhart manages to break anybody’s arm this time. Geez, I hate that Lenhart guy. And he loves it that we hate him. I hate that. your math is not bad but Sounders have 2 games left. They play Dallas this Sunday before they wrap it here in the season finale for both teams. Can LA win both games? Hope so but unlikely given their un-even performances since Beckham came back in the lineup and the defensive miscues have reared their ugly heads again. De LaGarza’s absence is huge. Any update on him? zzzzzzzzzzzzz……i think we missed a few games here!